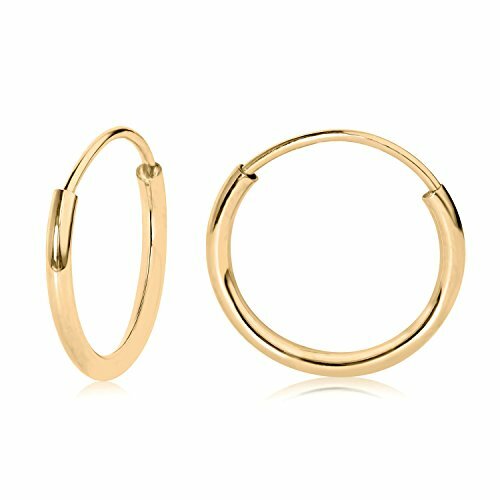 An easy, everyday style at an affordable price the American goldsmiths have created these polished 14k yellow-gold round endless hoop that has all the appeal of a classic design. 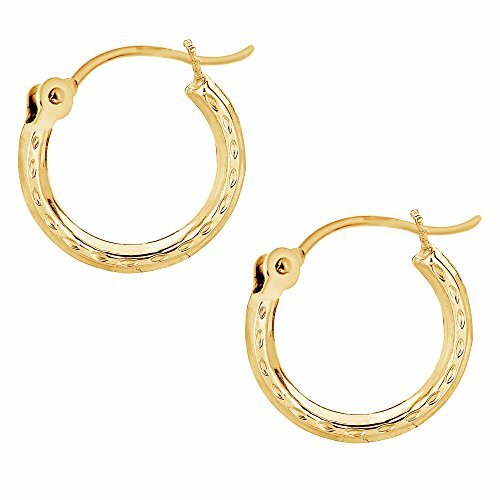 These beautiful earrings are composed of 14k gold (58.5% of pure gold). High polished for long lasting shininess and durable quality. CZ accents fulfill its delicateness and further deliver its brilliant look. The screwback is a safety back that screws on and locks thus preventing for any poking in the back of the earlobe and lessening chances of lost earrings. 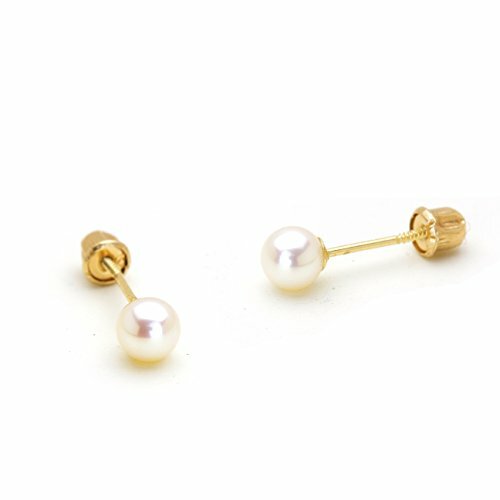 These beautiful earrings are composed of 14k gold (58.3% of pure gold) with simulated pearl. The screwback is a safety back that screws on and locks thus preventing for any poking in the back of the earlobe and lessening chances of lost earrings. Brilliant white Flawless Cubic Zirconia makes this earring sparkle. Beautifully designed and well crafted. This jewelry will make a great accessory and compliment any style and occasion. All items come with gift box Properly marked and stamped PICTURE IS ENLARGED FOR DETAILING. Your Satisfaction is important to us! If you are unsatisfied with your purchase, for any reason, you may return the item for a FULL REFUND within 30 days of purchase. 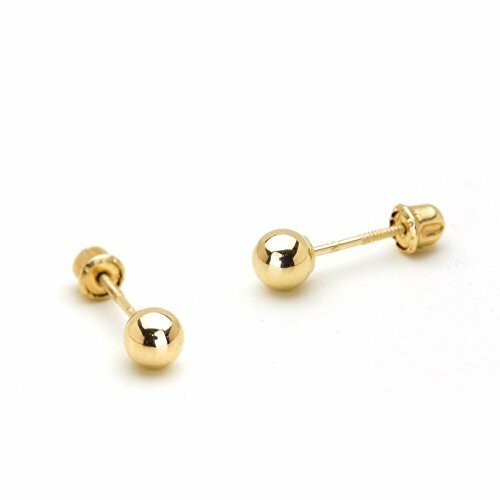 14k Yellow Gold Ladybug Enamel Baby Earrings with Secure Screw Back. 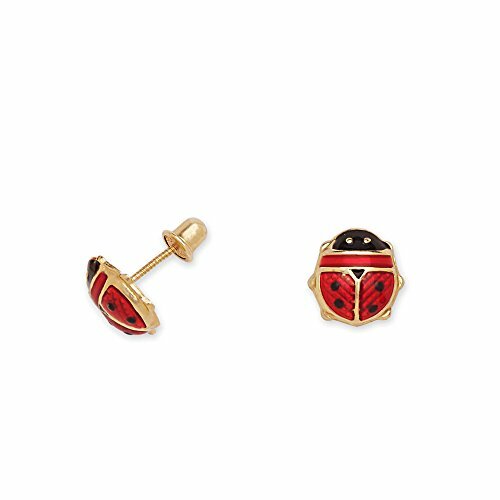 Long considered a symbol of good luck, these charming ladybugs also bring good looks! Fashioned of 14k gold, each ladybug is set finished with bright color combinations of enamel adding lifelike details to this pair. our smallest lady bug earring made specially for babies. Intended for a newborn with very thin ear lobes. 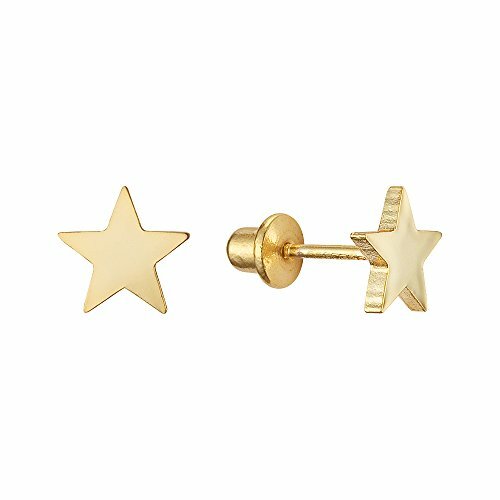 Screw-Back Stud Earrings with 1/4 Inch Long post specially designed for your baby's comfort in mind. 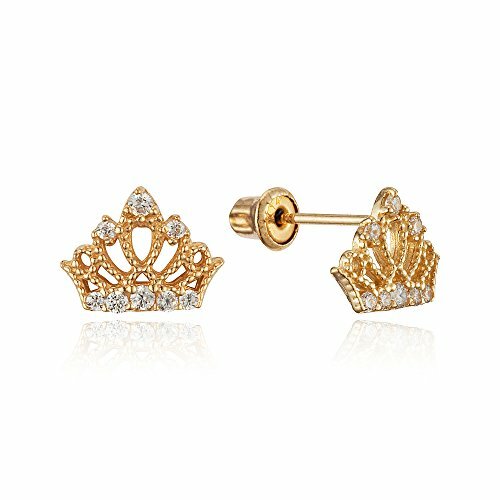 The earrings are small and won't overpower a child's petite physique. Do you remember your first pair of earrings? 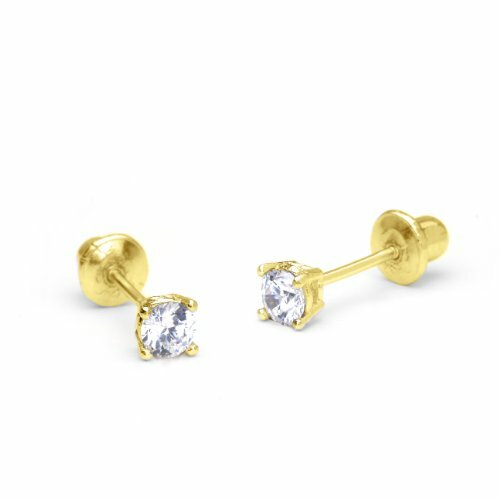 These 14k gold infant or child stud earrings are the perfect gift and a wonderful way to start a jewelry box. It's never too early to start a lady's jewelry collection, start it with these baby enamel lady bug stud earrings. 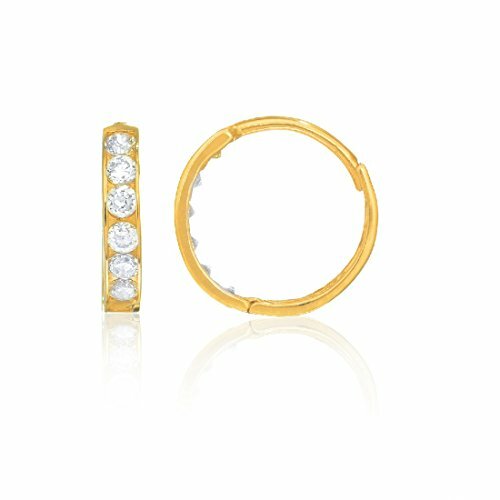 14k Real Yellow Gold Hoops Hoop Earrings Tubular 2x12mm Diamond-cut Beautifully designed and well crafted. This jewelry will make a great accessory and compliment any style and occasion. All items come with gift box Properly marked and stamped PICTURE IS ENLARGED FOR DETAILING. Your Satisfaction is important to us! If you are unsatisfied with your purchase, for any reason, you may return the item for a FULL REFUND within 30 days of purchase.